In the United States, it is more and more common to see tattooed pets. This fashion phenomenon that has plagued animals for many years has finally ended! 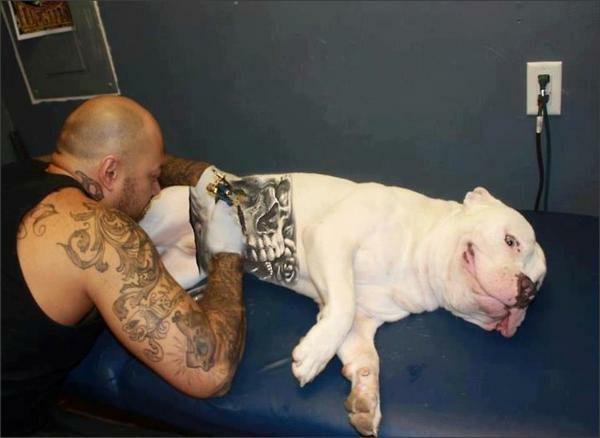 Indeed, a law that prohibits tattooing on pets was passed in New York State, as relays Le Monde. Animal welfare associations continue to fight to ban the practice in the rest of the country. Certainly the identification of a pet can sometimes be done through the tattoo but it is usually to mark numbers and letters on the skin of the animal. On the other hand, the artistic tattoo on animals is often a response to the aesthetic desire of the master. A very trendy practice in the United States but finally ended in New York State! 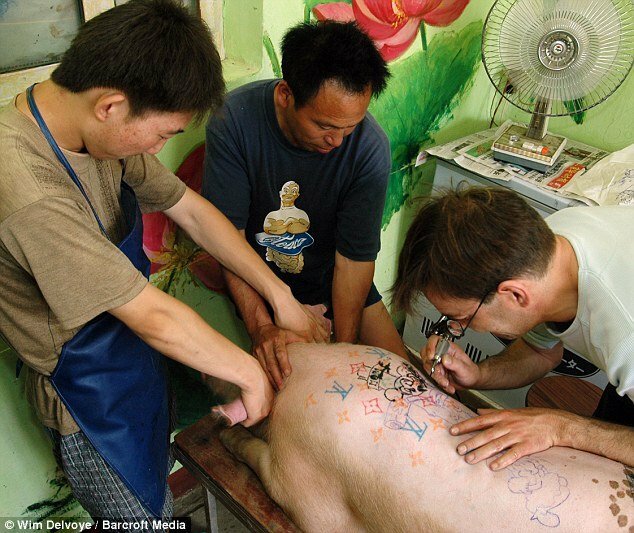 One of the first animal tattoo tales was relayed by the Daily Mail in 2011. Belgian tattoo artist Wim Delvoye was designing decorative motifs on the skin of his pigs. After being tattooed with mild sedation, the pigs were fed, cared for and allowed to adopt an "open-air" lifestyle in Delvoye's Chinese farm. Once the pigs died, their distinctive skins were removed, prepared, exhibited and sometimes sold to collectors. But animal rights activists complained that pigs were suffering unnecessarily and were being abused for commercial gain. A few years later, the Brooklyn tattoo artist, Mistah Metro, created a new controversy concerning this practice, as relays the HuffPost. 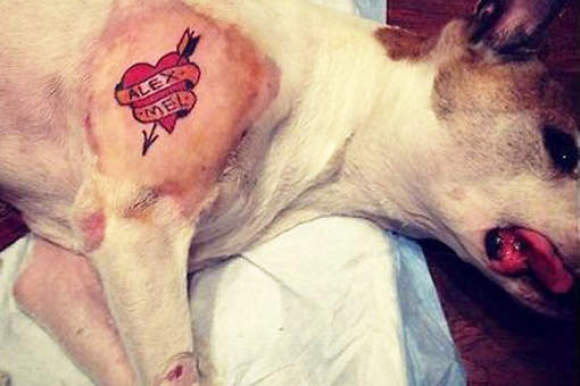 While his dog had to get the spleen removed, the vet allowed Metro to tattoo a classic tattoo-style heart with an arrow on the dog's shoulder. Then, Metro shared on Instagram the photos of his tattooed dog, mentioning in the caption: "My dog ​​is cooler than yours! ". This post created a kind of challenge and everyone started to tattoo their pet and share their photo on social networks. A phenomenon that made the buzz especially in the United States where animals have become works of art. At that time, the PETA (People for the Ethical Treatment of Animals) Global Association reacted by saying that it did not support an animal's tattoo for the selfish pleasure and need of entertainment of its owner, without worry about the welfare of the animal. The American Society for the Prevention of Cruelty to Animals (ASPCA) reiterated the interest of identification tattooing done in a veterinary practice, under anesthesia and by a professional, and its need for future veterinary care ( for example, it shows that the animal has already been sterilized). However, Metro stated that his dog was still under anesthesia and that he had not felt any pain. Animal rights advocates have opposed this practice: they do not agree to see people inflicting purely aesthetic tattoos on their pets. Following this incident, they won their case in the state of New York. Art tattooing has been banned in New York State and anyone who violates this law can face 15 days in jail and a $ 250 fine.